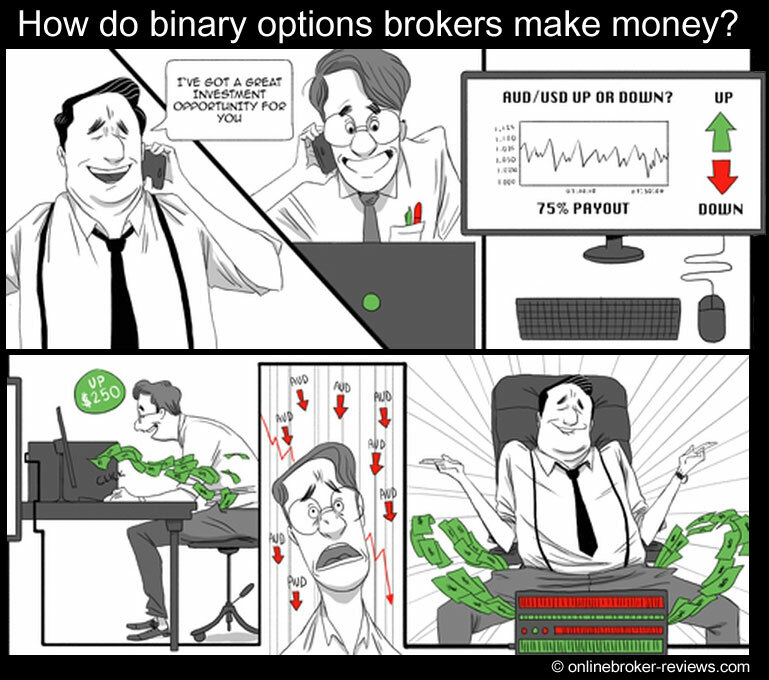 Cartoon: How do binary options brokers make money? You are here: Home > Financial cartoons > How do binary options brokers make money? With binary options, you are trading against the house. You're betting if the price is going up or down and the broker takes all your money when you lost your bet. With binary options, the trader has to guess where price will move next. Up or down? You place your bet and when you guessed right, you get a 70 to 90% return. But if you guessed wrong, you lose your 'investment' and the money goes straight in the pocket of the broker. You may freely reprint or repost our cartoons provided that you include a link to https://onlinebroker-reviews.com.